We have a few tidbits of gossip just waiting to be devoured by you! 200 “YES!” votes before 1:00 pm EDT will get you a BG12345 today. 400 “YES!” votes will get you a DOUBLE BG12345 (10 new blind gossip items) today! PS: We have to make/bring appetizers for a party this weekend. We really want to bring something most adults would like, but can’t seem to settle on any one dish. 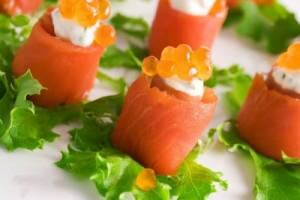 What is your favorite appetizer to eat at a party? UPDATE: You’ll get five new items today! We’ll try again for the other five tomorrow!